Subscribe to our free, daily Optimal Thinking email series to help you to consistently take the best actions to achieve what is most important. You will also receive our quarterly award-winning newsletter for personal and professional optimization! Articles, quizes, questions, quotes and action steps to optimize — not just improve or manage — your personal and business life. Subscribe now and immediately receive our Optimal Thinking for Tough Times roadmap free! OptimalThinking.com values your privacy. We will not distribute your email address to anyone. We have used McKinsey, Boston Consulting Group and Bain to produce our business plans. This senior executive team creates superior quality business plans for a much lower fee. A no-brainer choice. When we need to win a government RFP, this team gets it done. They have responded to 13 RFPs for us and won all of them. What a find. It's great to see you helping people to reach their full potential! To fast create an optimal life, lifestyle and future, read, digest and use Optimal Thinking. #1 New York Times best selling series, Chicken Soup for the Soul®. 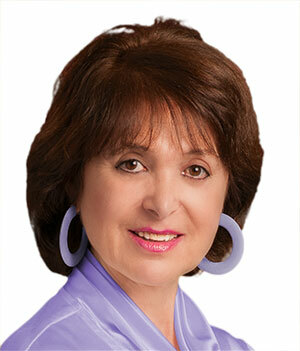 I've seen some of the best, but no-one as interesting, effective and inspirational as was Dr. Rosalene Glickman. I have a B.S. Degree from the University of Southern California but I feel I learned more of value from Dr. Glickman. The optimal thinking audio program shows you how to make personal and professional optimization a habit. This program is suitable for everyone and should be mandatory for employees. Thank you for your spectacular presentation. Your delivery of "Optimal Thinking" was succinct, and you were extremely entertaining and interesting to listen to. Optimal Thinking is exactly what business owners need - empowerment to be our best to succeed. Your insights and anecdotes offered real inspiration for all our managers, and feedback following the event has been extremely positive... You are a tremendous speaker and we feel privileged that you took the time to present here. This powerful, practical, most inspiring book gives you the ideas and tools you need to become an optimally productive and powerful person - in every area of your life. Optimal Thinking is a wonderful book filled with practical ideas and strategies that assist people to lead a more satisfying, successful life. The reader will identify with many informative case examples. This book will be read and re-read to achieve an "optimal" lifestyle. Faculty, Harvard Medical School and co-author of "The Power of Resilience." What does it take to become Australia's most successful woman? Glickman was awarded her title for her ability to motivate American business people. Everything was wonderful and eye opening. The Optimal Thinking seminar optimized the healing process of a crippled and hurting work environment. I would like to say how wonderful your service is and when you told me that you were going to put your Top Writer on the job, I didn't imagine that they were going to be that good! Thanks! Optimal Writing Services delivers a top quality proposal on time and on budget. They wrote an amazing RFP for my organization in 23 days and we won the bid! If you need a custom business plan for investors, there is no better team than Optimal Writing Services. They are fastidious, and the plan they produced enabled me to get the funds I was after. I couldn't have done it without them. A superb treatment of the idea of Personal Best. This excellent executive team produced a cutting edge strategic business plan to grow our business based on proven experience, not theory. A class above even the top strategic consulting firms, you can't beat the quality at this price.